Recently I had a hair cut as my hair was getting longer and unmanageable! My hair tends to look so flat in front as it gets oily throughout the day! 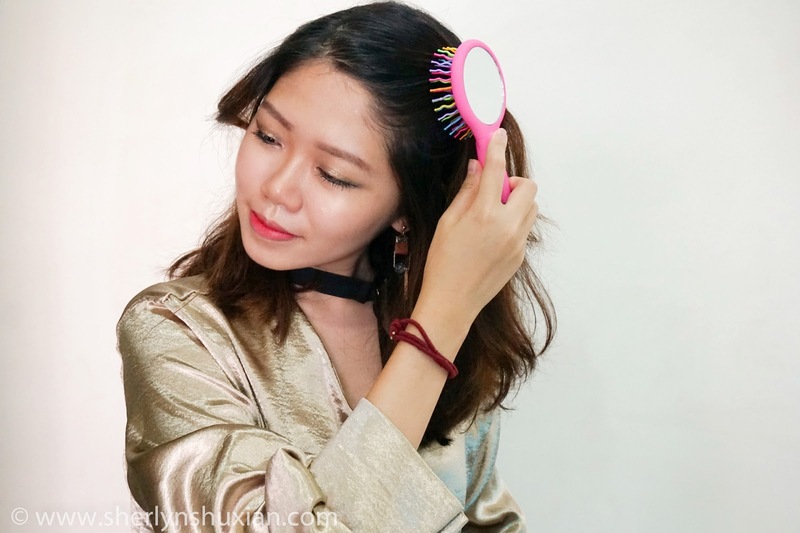 Also, as my hair gets tangled easily, combing is never an easy task for me. That is why I used to comb it once a week only! You are reading it right, that was how much I used to hate combing my hair. 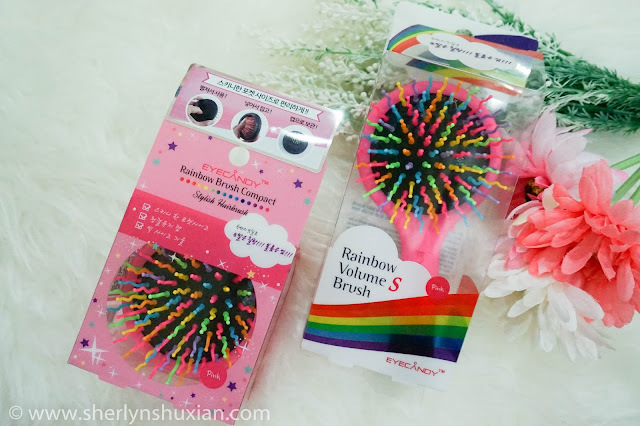 Until recently, I discover EYECANDY Rainbow Volume S Brush. Honestly I was very skeptical about it before I received the product. Now let’s see whether it really works for me! The packing is very colorful! What is so special about the rainbow brush? It has the special S-Curl Teeth Brush. To make spaces between hair so that air can stay to make more volume and reduce friction. Recommended if your hair has not enough volume, flat, tangled by frequent styling and damaged by strong UV. It came with 3 sizes: Large, Medium and Compact. 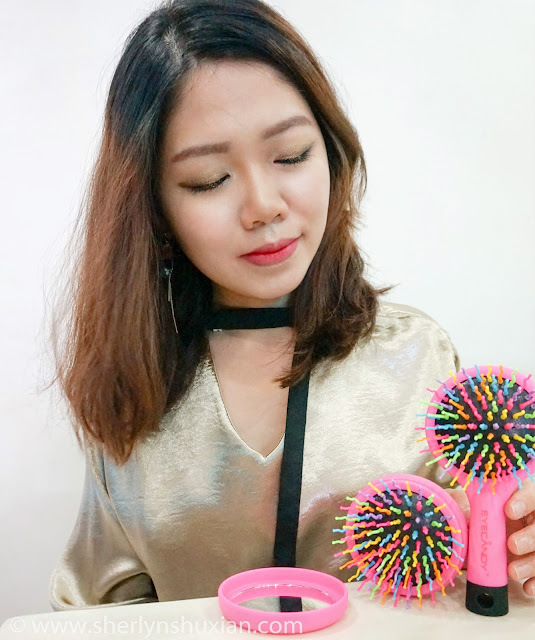 The large is good for head massage, standable and has mirror at the back; while the medium brush is lighter, carriable, standable and has mirror at the back. The compact one is travel size, the mirror is inside and best part is it is washable! There are two colors available, Black or Pink. I have got myself a pink medium+compact set. 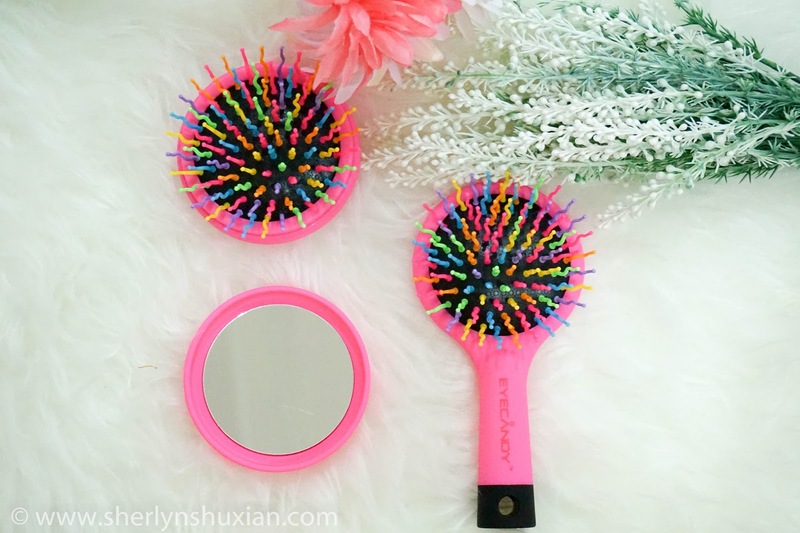 The hair brush does add volume to my hair. Not dramatically but noticeable and natural! Afterall, natural styling is what we want right? 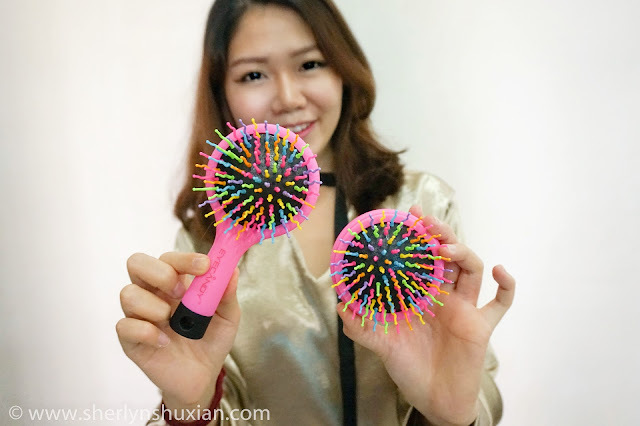 The quality of the S bristles are good and I used it to massage my head so frequently. 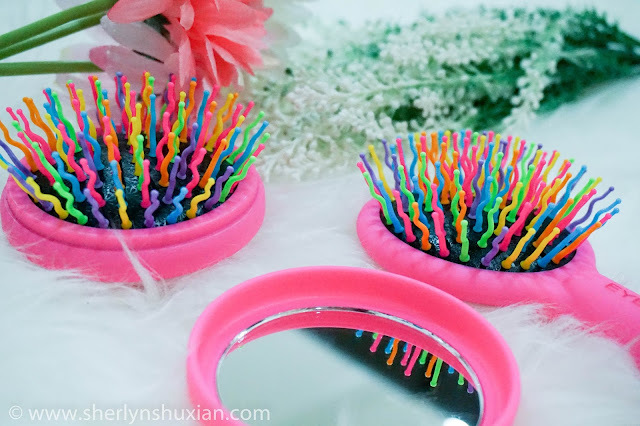 It helps me to manage my frizzy and tangled hair better! 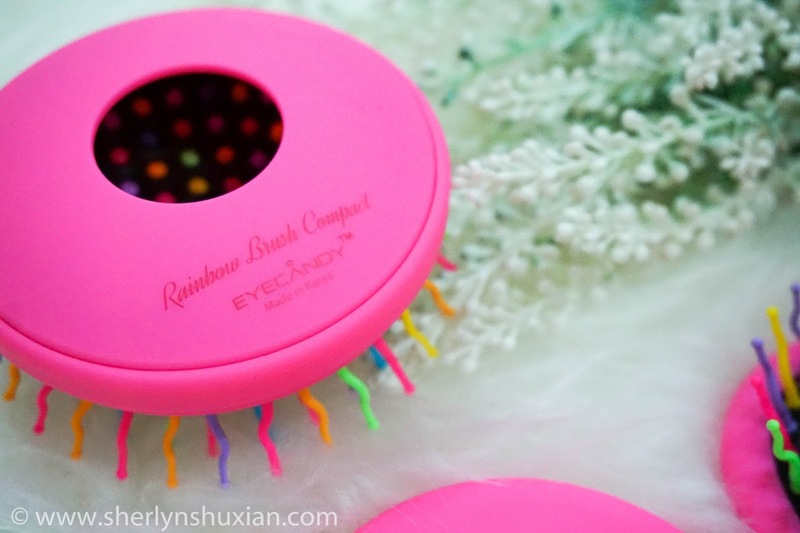 It de-tangles and smooths my hair all the time! I also love the mirror. Whether it is compact or medium size, I find it very convenient to just put it in my handbag wherever I go! If you are thinking why the price is a bit high? It is handmade in Korea! In other words, It is not a mass-produced product! I heard from my friends that it is not easily available in Malaysia but no worries You can get yours from HiCharis.net. You can also get it at a cheaper price here if you plan to only get one brush instead of the set!